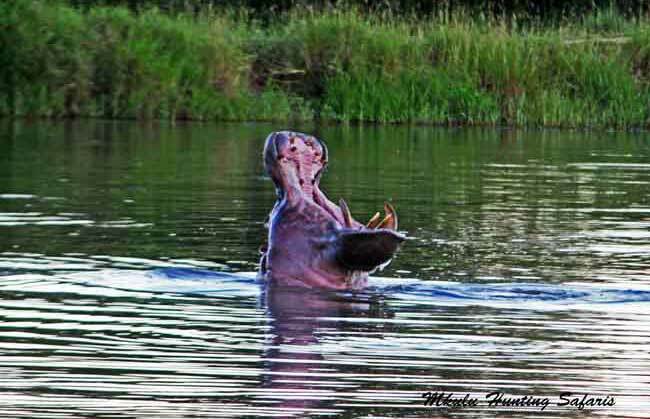 Bow hunt sable in Africa with Mkulu African Hunting Safaris. 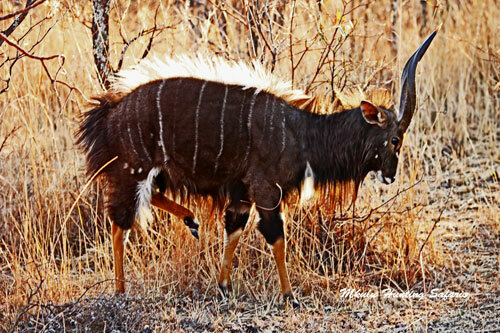 Bow hunting sable in Africa is bow hunting for the most majestic of all African antelope species. Sable walk around like they own the bush. 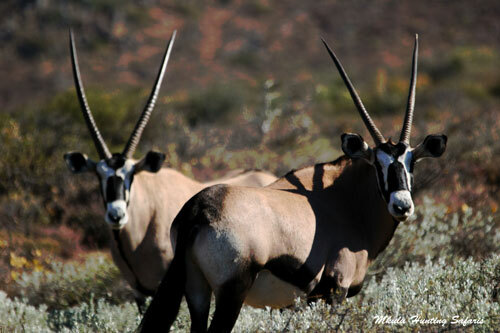 Sable seem to know they are better than any other African antelope species. Sable are the personification of perfection. Sable were on the endangered list of antelope species until about five years ago. Prior to that concerned hunters / farmers started with breeding programs to increase the sable numbers in South- and southern Africa. The end result of these concerns in the form of breeding programs is that sable were removed from the endangered species list. In fact, vermin like caracal remains on the Threatened or Protected Species List (TOPS). This means we as bow hunters have legally able to hunt sable for the past six years without having to apply for a special permit. Sable hunting numbers are now determined by the landowners. 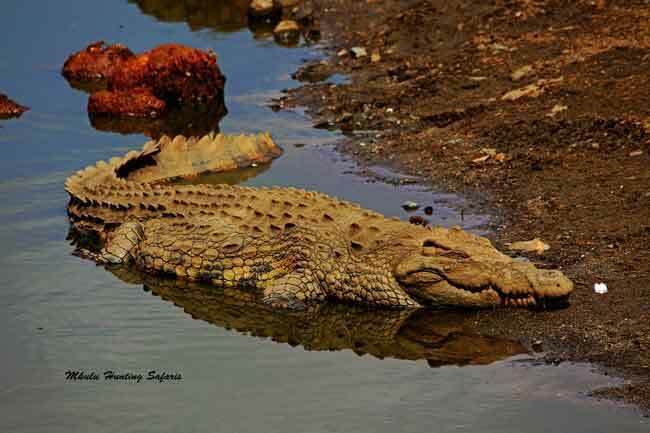 This, along with the white rhino conservation projects, clearly shows that hunters care for wildlife and the environment. We, as hunters and conservationists, cannot, and will not deny there are rotten apples in the basket. This means we acknowledge there are hunters who do not stick to the rules. However, same applies to any profession anywhere in the world. We salute and thank the hunters / conservationists for their efforts in breeding species back from the brink of extinction to the point where we can legally hunt previously endangered species. 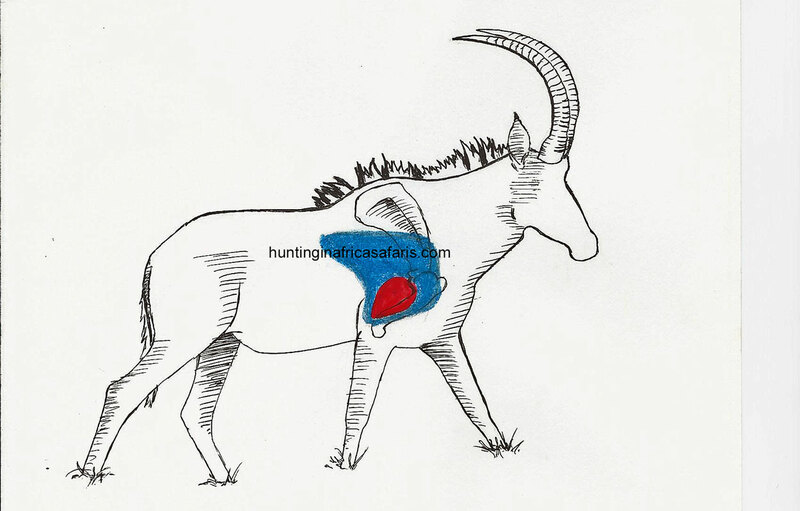 Below are a number of suggestions with regards to draw weight, shot placement and tips for bow hunting sable in South Africa. 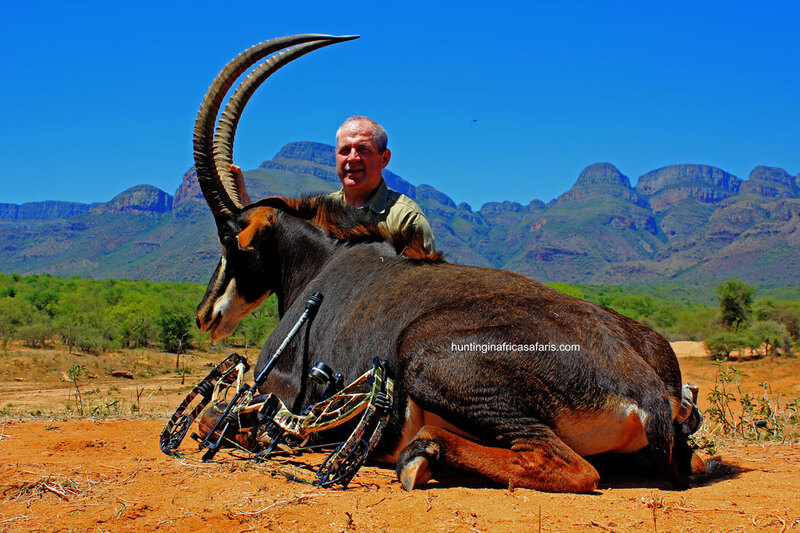 The cost of bow hunting sable in South Africa for the 2018 bow hunting season has been confirmed at $ 6 500. If you book any bow hunting package with us, and add a sable on top of the package during 2018, we will offer you a 15% discount on the sable price itself. Is this a good deal or what? The recommended draw weight for bow hunting sable in South Africa is any increment greater than minimum draw mass. Any draw weight equal to or greater than 70 lb is recommended for bow hunting sable. The minimum kinetic energy (KE) required for bow hunting sable is 60 ft / lb. A minimum arrow velocity of 245 fps is suggested for bow hunting sable in South Africa. A minimum arrow weight of 450 grains (gr) is suggested for bow hunting sable in Africa. Average shooting distance when bow hunting sable in South Africa from our bow hunting blinds are seldom further away than 19 to 25 yards from your trophy sable. You decide which brand broad head you would like to use when bow hunting sable. Sable have a rather large area covering the vital organs for adequate shot placement. Place the shot right behind the shoulder of the sable in line with the front leg, one third of the way up from the bottom of the chest to the top of the back. This shot should result in a high heart / lung shot leading to the sable expiring in the least amount of time. The following tips for bow hunting sable are done from the perspective of still hunting from a blind. Sable usually come in to water during the mid-mornings anywhere from about 9 am – 11 am and then for a second round from about 3 pm onwards till dusk at about 5:30 pm during our winter months. Sable come to water cautiously and weary the whole time. Sable will often stand some distance away from the water and approach a few steps at a time. 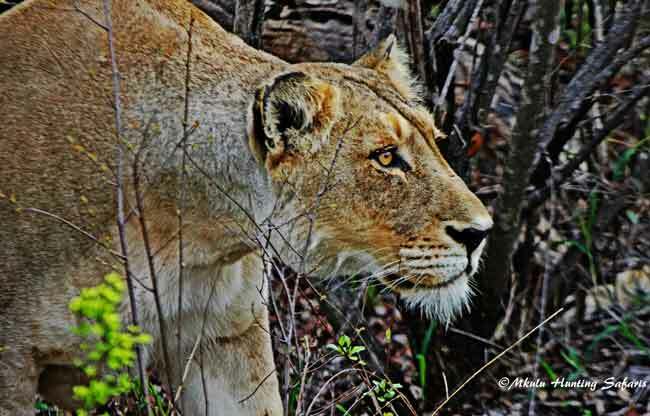 Due to the high price of these animals they are not one of the 10 most popular animals to bow hunt in South Africa. The sable rut starts roughly after the fourth week of April (can differ slightly according to different regions and from year-to-year) and lasts until about June. 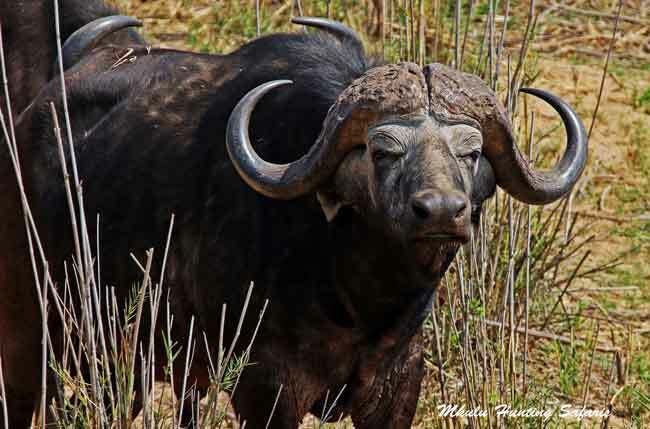 During or after September the bulls form bachelor herds and even may become solitary. 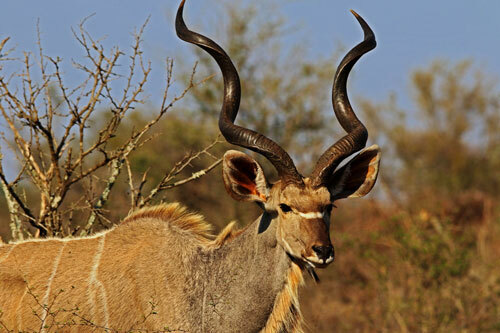 We suggest the best time of year for bow hunting sable in South Africa would be between May and October lasting from the start of the sable rut to almost the end of the dry season. We can and do bow hunt sable from January to December.